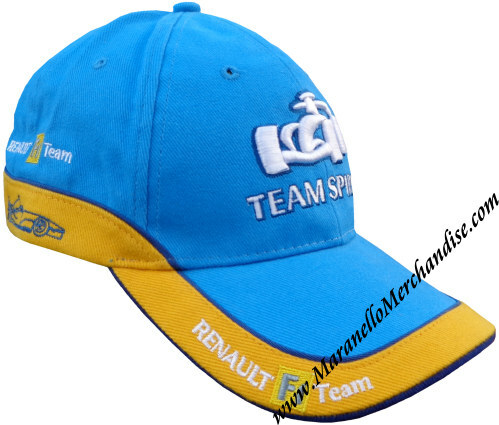 Renault F1 Team Cap, non-tobacco version. Team cap in 100% cotton. Stylized image of a F1 car along with "Team Spirit" on the dome, Renault F1 Team logos on both sides with a line drawing of a F1 car, Renault F1 Team logo on the edge of the peak and a F1 car on the back. One size fits all with metal buckle adjustment. 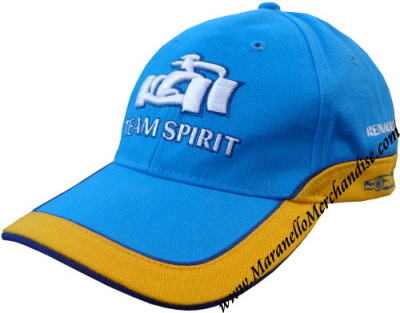 This is of course official Renault F1 merchandise.